Hemi Park and model Ashlyn Sainte Claire. 2. 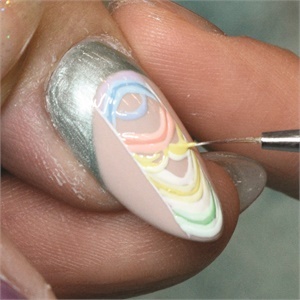 Create a reverse moon design near the cuticle area using Orly Electric Jungle. Seal with top coat. Section out the mural area at 1/3 of the nail using a long striper brush and LeChat Perfect Match in Flawless White, then cure. 3. Mix a 5:1 ratio of Flawless White and pastel gel-polish to create a pale shade. Using a medium length art brush, draw line by line while curing each layer of gel-polish. As lines build up side by side, add more colors to the previously used pastel mix to create a color gradient throughout the mural design. 4. Add triple-vertical lines on the reverse moon area using LeChat Perfect Match in Flawless White. Using silver glitter painting gel, outline the reverse moon and the mural design with a long striper brush. 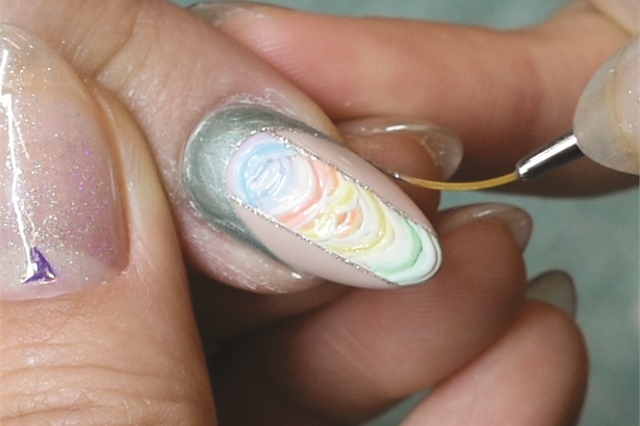 Seal the entire nail with gel top coat. 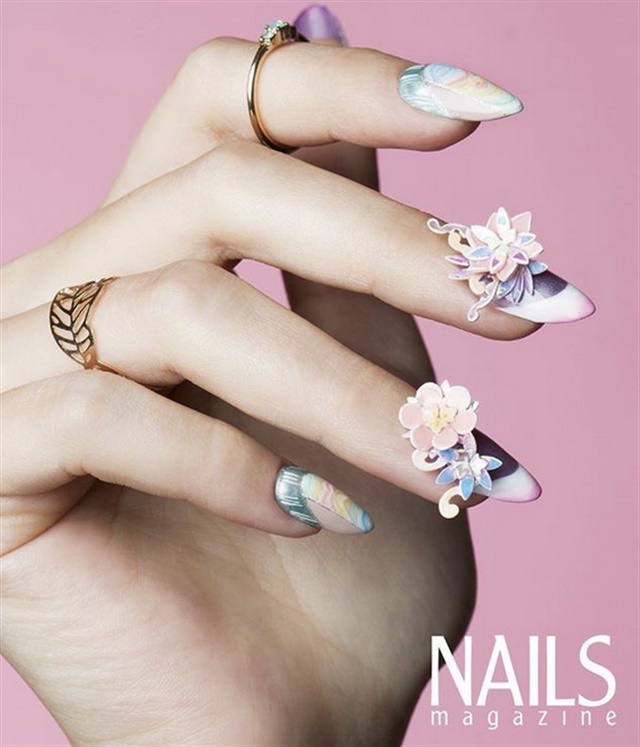 Click here to see the full steps for each nail.